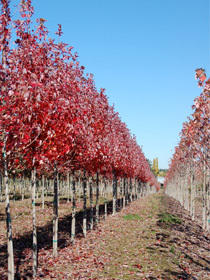 Here at Kuenzi Turf & Nursery we strive to continually provide our customers with not only quality trees, but trees that will compliment your product mix. 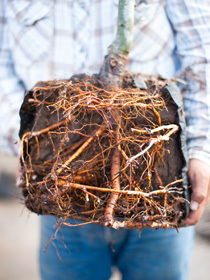 It is our business to not only grow nursery stock, but customers, employees, and relationships that will last a lifetime. To achieve these standards we know that we cannot do it on our own. Remaining in close relationships with our customers to understand what they need to supply their customers is important. Focusing on production and costs allows us to remain profitable and give our customers consistent quality and reliability. This focus on profitability gives us the opportunity to create and grow quality employees that love their work environment and supply them and their families with work not only all year long, but for many years to come. Knowing that we do not have all the answers we search out reliable sources to feed us important knowledge and research. Sharing ideas with local nurseries and nurseries across the United States provides us with continuing improvements in our quality, efficiency, and profitable production. To learn more about how we utilize industry research click on the nursery research page to your left and learn how Dr. James Altland is improving our performance and quality! Below is a link to another webpage that describes some of the varieties that we are growing here at Kuenzi Turf & Nursery. 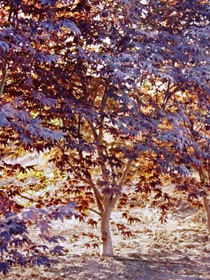 New cultivars from U.S. National Arboretum are now being grown here at Kuenzi Turf & Nursery. In-Ground fabric bag (1 yr top).